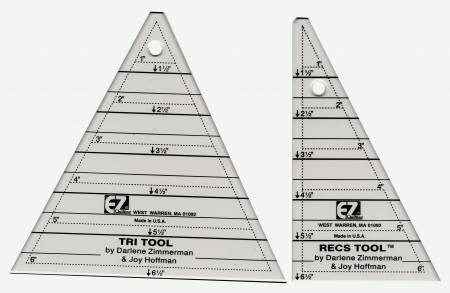 These rulers are used to achieve the most accurate triangle units. Instructions included. Sizes: Tri - 6-1/2" x 6-3/4", Rec - 6-1/2" x 3-3/4"